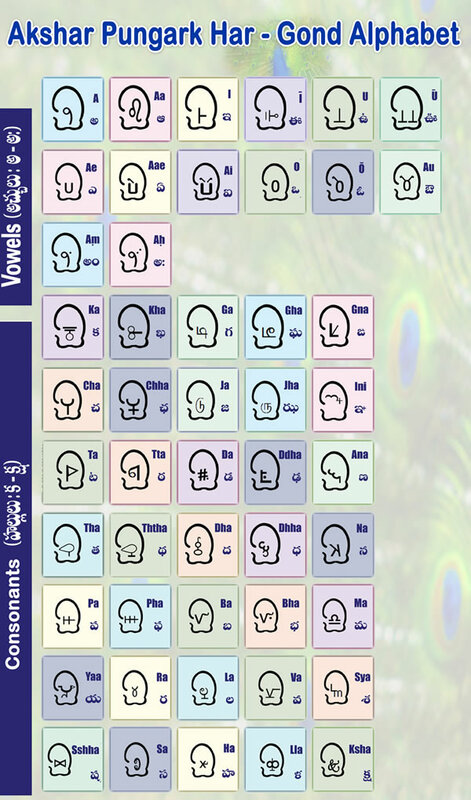 Gondi sets the record for the language with the most endangered alphabets — no fewer than three. “The Gonds are among the largest [indigenous] groups in South Asia,” Dr Prasanna Sree writes. “The term Gond refers to tribal peoples who live all over India’s [southern] Deccan Peninsula. Most describe themselves as Gonds (hill people) or as Koi or Koitur. “Scholars believe Gonds settled in Gondwana, now known as eastern Madhya Pradesh, between the ninth and thirteenth centuries AD. Muslim writers describe a rise of Gond states after the fourteenth century. Gond dynasties ruled in four kingdoms (Garha-Mandla, Deogarh, Chanda, and Kherla) in central India between the sixteenth and mid-eighteenth centuries. Over the centuries, though, the Gonds fell from their earlier position of eminence and, crucially, had no script for their own language. 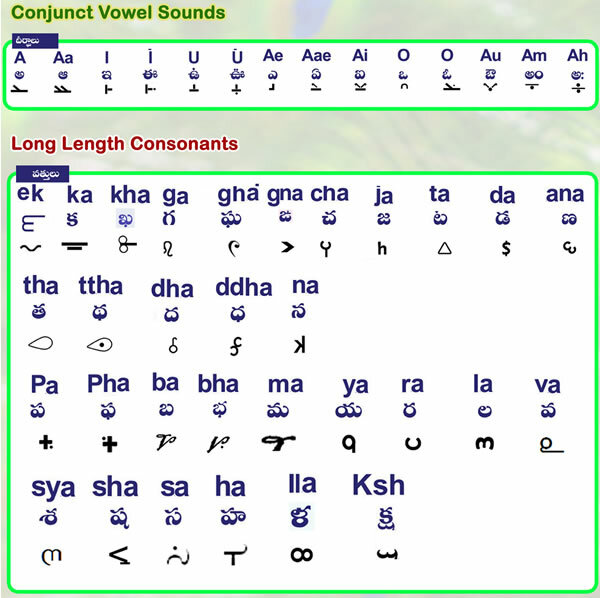 The Gondi language is usually written in the Devanagari or Telugu scripts, but these mainstream writing systems neither convey an entirely accurate sense of how to pronounce Gondi words nor give the Gonds a sense of their collective identity — especially in India, where a language community without its own script is generally given less respect. 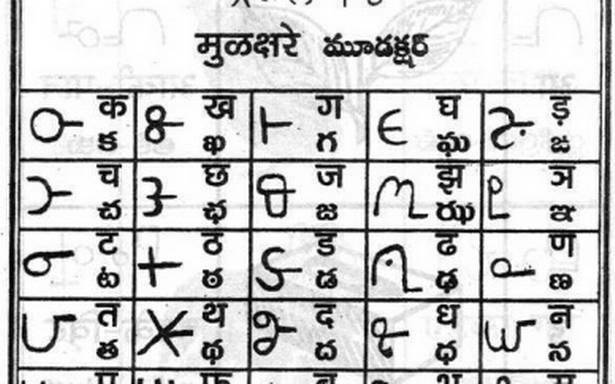 To try to address this identity vacuum, in 1918 (or 1928, depending on the source) Munshi Mangal Singh Masaram of Kochewada, Balaghat District, Madhya Pradesh, created a script that came to be known as Masaram Gondi. By some accounts, the script is actively used today for hand-written and printed materials. Fonts have been developed for the production of books. 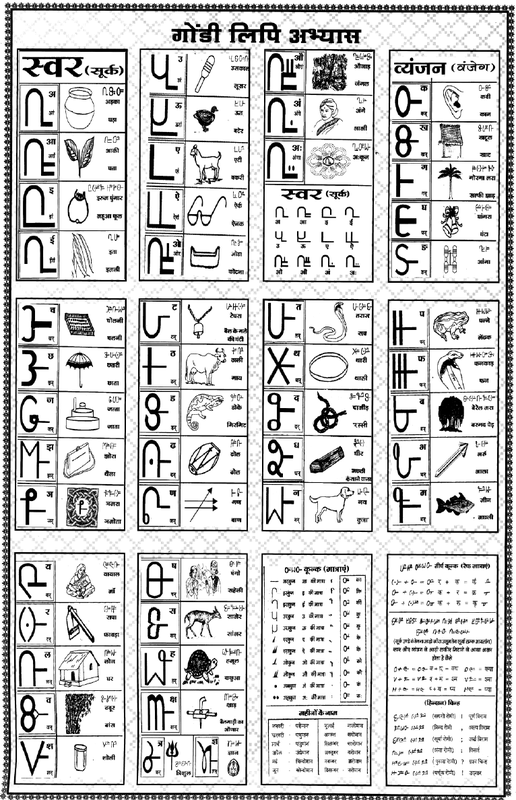 In 2011, the Akhil Gondvana Gondi Sahitya Parishad (Chandagadh, Maharashtra) passed a resolution adopting Masaram’s script as the official script of the Gondi language. Unlike Sequoya’s Cherokee or Shong Lue Yang’s Pahauh Homng, though, Masaram Gondi does not seem to have had the desired effect of a custom script — to inspire people to use it. 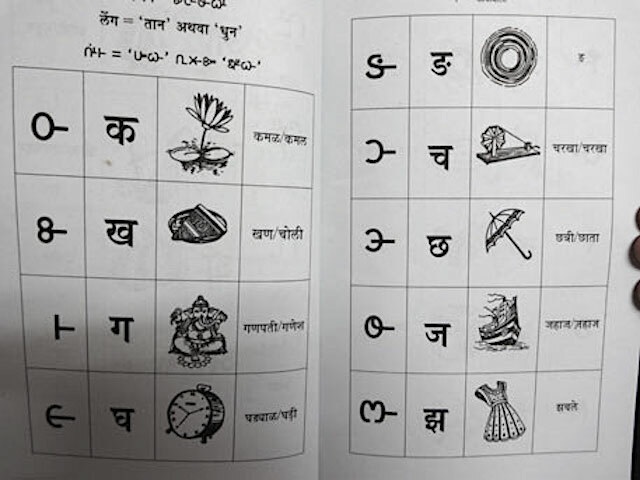 Literacy among the Gonds has remained low, even in their own writing system. The next attempt involved not a new custom script but the revival — indeed, the rediscovery — of an old one in the tiny Gond village of Gunjala (population: under 1,000) in Adilabad district of Telangana. Around 2010 a group of manuscripts in Gondi were discovered, dating from around 1750, which included horoscopes, information on numbers and grammar, information about 6th-7th century trade relationship between the Pardhan community and civilizations in Myanmar; the origins of the Indravelli mandal; and the early eighteenth century rebellions of the Chandrapur Gond kings against the British — in short, the very materials that granted the Gonds and their language a historical legitimacy. The script in which the documents were written (which apparently only four elders in the village could still read) became known as Gunjala Gondi in honor of the village. Professor Jayadhir Tirumal Rao, who spearheaded the research and unveiling of the script, has been quoted as saying: “Andhra Pradesh has 34 tribal communities and none of them has a script except the Gondi community. The script is their self-esteem and we took up the task of preserving it by reviving the language.” Teaching materials have reportedly been developed in the script and it is being taught in a number of schools in villages with a high Gond population. Meanwhile, Professor Sree was working on yet another writing system for Gondi, based (like most of her scripts) on a graphic iconography suitable to Gond culture. The common design feature in all the letters of this alphabet involves both spiritual beliefs and features of the familiar landscape. Tribal people often worship family household gods, most frequently Siva, who is worshipped in the form of the Linga, or phallus. The upper part of each letter, then, represents the head of the phallus. (Another common shape is that of their headgear, or gussadi, made of peacock feathers.) The lower part of the common letterform represents both an animal face looking toward the sky and water flowing among hills through a valley, a characteristic feature of their terrain. The most recent word is that the NGO CGNet Swara, which works to support indigenous peoples of central India through enhanced journalism and communications, is compiling a Gondi dictionary and working on a standard script.